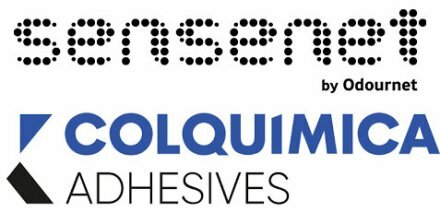 Colquimica Adhesives, one of the top four leading hot-melt producer for the hygiene industry and Sensenet, part of Odournet´s group, the largest specialist on odour management and assessment have been stimulating several Innovation workshops for key customers of the hygiene industry. Maïlyys Fredericq and Ton van Harreveld were the invited speakers and presented methodology, procedures and results of odour tests made by Sensenet. Pedro Gonçalves, Ana Coutinho and Pedro Koehler were the assigned speakers from Colquimica Adhesives and presented market trends, innovative adhesives and main benefits for end users. Invited companies who participated in this workshop apply adhesives in products such as baby diapers, feminine care and incontinent products where the lack of chemical odours is of great importance. Scientifically, odour perception metrics are key to guide hot-melt producers R&D departments. Rubber based raw materials are increasingly being replaced by polyolefin, so odour metrics are key in assessing new products against competitor benchmarks. During the workshop, some innovative ideas were discussed, namely more efficient ways to check the raw materials, sourced by upstream in the value chain, It is of course of vital importance to avoid malodorous constituents in sensory critical applications of adhesives such as personal care or baby care. Sensenet put forward some ideas to assess small samples of raw materials early in the logistics chain, before delivery, using molecular odour assessment methods using GCMS/TOF or GC-IMS as an alternative for more cumbersome and time-critical in-house sensory panels. Workshop was a win-win experience for all participants and a pleasure because we could join very knowledgeable players and discuss ways to achieve operational excellence in sensory products.